A necessary and beautiful film, Kanyini looks at the world’s oldest living culture in a way that’s never been seen before. A tale of Indigenous wisdom clashing against materialistic notions of progress, Kanyini is not only a story of one man and his people but of the human race. It is also a story that is fundamental for understanding contemporary Australia, for only by knowing our past and our present can we dream of a future which includes everyone. 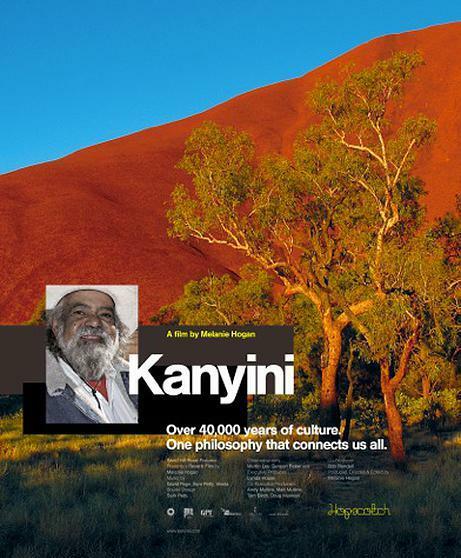 Kanyini was born out of my desire to understand and connect with Indigenous Australia. In my homeland, Indigenous and non-Indigenous people still seem to be confused about each other and are finding it difficult to journey together. Knowing this, Bob and I wanted to create a film (Kanyini) that helps to bring Indigenous and non- Indigenous people closer together – not just in Australia, but all over the world. As a young person, I feel very strongly that many of the values held by our Indigenous brothers and sisters could be of enormous benefit for society at large; particularly their care and respect for Mother Earth and all forms of life. In a world that is going a little too fast, Indigenous wisdom may hold some of the answers non-Indigenous people are looking for. Hearing Uncle Bob tell his people’s heartbreaking story with such honesty and love, gentleness and strength continues to amaze me. Uncle Bob always says the hardest thing to change in the world is ‘negative attitude’. If Kanyini can help create positive attitudes, then we're on our way to healing some of the mistakes of the past. And that excites me. ​“Anyone coming cold to the story of Australia's Indigenous disgrace will no longer be ignorant after seeing this beautifully shot film and hearing Uncle Bob tell it the way it is, with such personal passion, political insight, incredible lucidity, dignity and somehow even humour”. “My wish...that everyone go see this film. Uncle Bob just tells it like it is. Simply, beautifully and with a light heart. A special film that tells an "open truth" that should have been told a very long time ago”. "I urge everyone to watch Kanyini. It is entirely compelling and incredibly important."